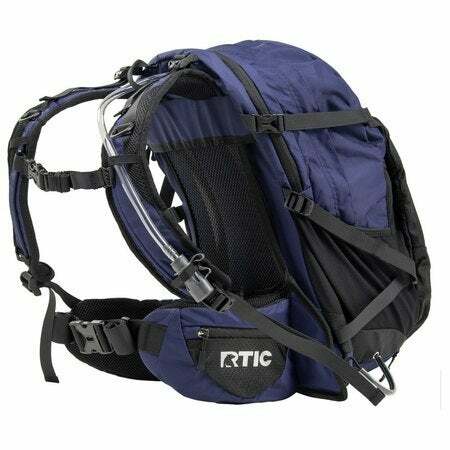 With RTIC’s 35 Hydration Pack you can hit the trails for a long day hike. The anti-gravity suspension system utilizes a combination of light alloy frame, mesh back panel, shoulder harness and hip belt which distributes weight evenly to keep you comfortable no matter how far your trails take you. The dual upper and lower compression straps help stabilize the load and provide added storage options if you have extra bulky gear. 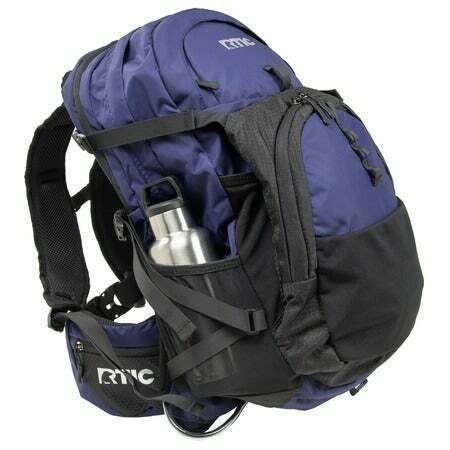 The pack's main compartment is accessed via a front zip panel so you can see all your gear. A series of well-designed pockets keep you organized on the trail. There's a front panel fabric shove-it pocket for quick transitions and a large zippered front panel pocket with internal mesh pockets for securing small items. Dual side stretch mesh pockets provide space for extra water bottles and the hip belt has two zippered pockets for keeping trail snacks or a phone. A zippered slash pocket provides safe harbor for your shades. 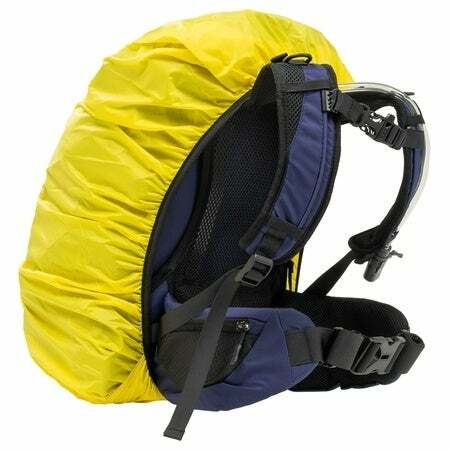 Additional storage features include helmet and additional gear attachment loops. An integrated removable rain cover protects your gear during wet weather. 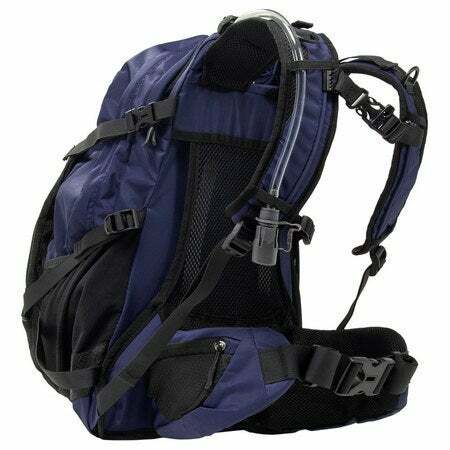 This pack comes with a 2.5 liter reservoir compete with sternum strap bite valve for instant access to fluids. 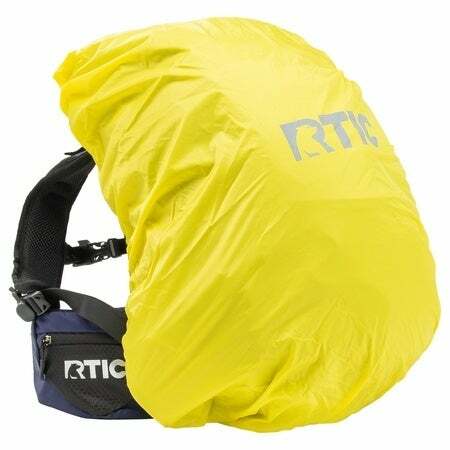 Size: 22" x 15" x 13"
Removable Rain Cover: The integrated and removable raincover provides protection for the pack in adverse weather conditions. 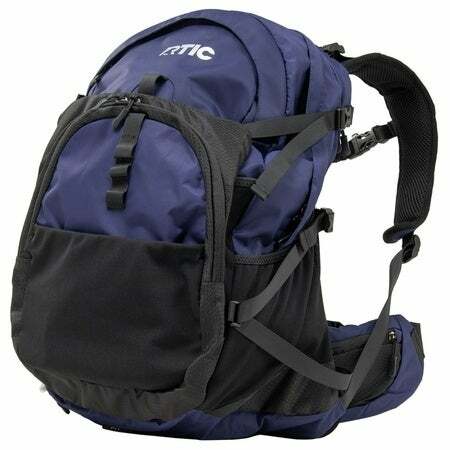 It stores in a small external zippered compartment at the bottom of the pack and can be quickly deployed. Made out of 190T polyester. Hydration Compartment & Bladder: Direct zipper access to the hydration compartment for spill-free refills. A 2.5L reservoir is included. 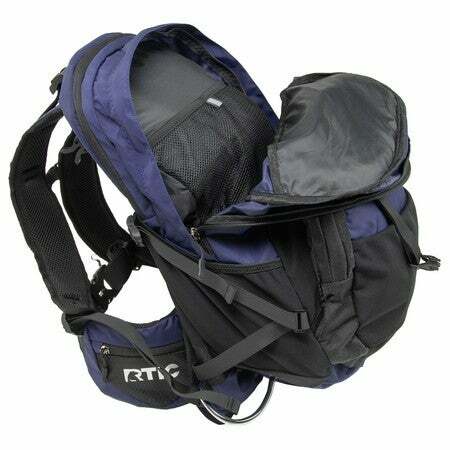 Stretch Mesh Front Pocket: A large front stretch mesh pocket for stashing extra gear. Gear Loops: Located towards the top of the front panel; helmet and other gear can be secured into place when not in use. Front Panel Shove-it Pocket: Included to quickly store and access gear. This bag is much nicer that I expected. I love the air flow system on the back. I wish the bladder compartment was insulated rtic style but that's ok. The bladder comes with a bad plastic taste like any other water bladder, but after filling with warm water and baking soda and letting soak over night, it's good to go. Flow is kinda hard to drink but I'm hoping it gets better over time.